Office 365 goes beyond simple email communication by bringing team collaboration and enhanced communications to your customers through the use of instant messaging, cloud storage and powerful desktop applications. Utilize the industry’s strongest email client to send content rich emails to clients, manage calendars and build contact lists. Use the local program or access through the Office web portal for the same functionality. Use Outlook to manage your teams’ calendar, set up meetings or share documents stored in SharePoint or OneDrive. Instantly communicate with members of your team through instant messaging, conference calling, and video chat. Share documents for collaborative editing, desktop for easy viewing of presentation or bring in third-party apps into team chats for better integration. 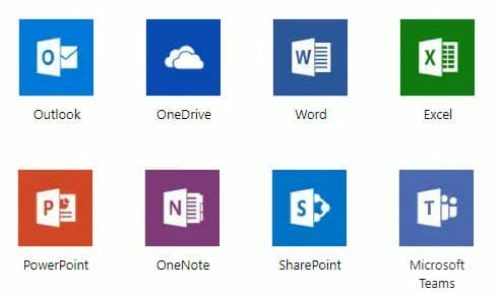 Store and share documents on Microsoft’s proven cloud storage. Set up team sites to help departments organize their data and secure sensitive data to only those that need access to it. Save files locally to your computer and OneDrive will auto-sync them to the cloud in order to keep them safe against local hardware failure or to access them later from another device. Whether it’s installed locally on the computer or accessed through Microsoft’s cloud portal, Microsoft Office is the industry leading office productivity software. Each Office 365 license grants the user the ability to install the Office suite on up to 5 computers so they can continue to enjoy the same power application experience across multiple devices. Use Microsoft Teams to make and receive phone calls just like you could from a desktop phone. Have your number follow you wherever you go by using the Teams mobile application. Migrate you existing phone numbers into Microsoft’s hosted PBX to maintain your current calling experience. Ready to move to Office 365? Would you like to speak with an Office 365 Cloud Specialist?